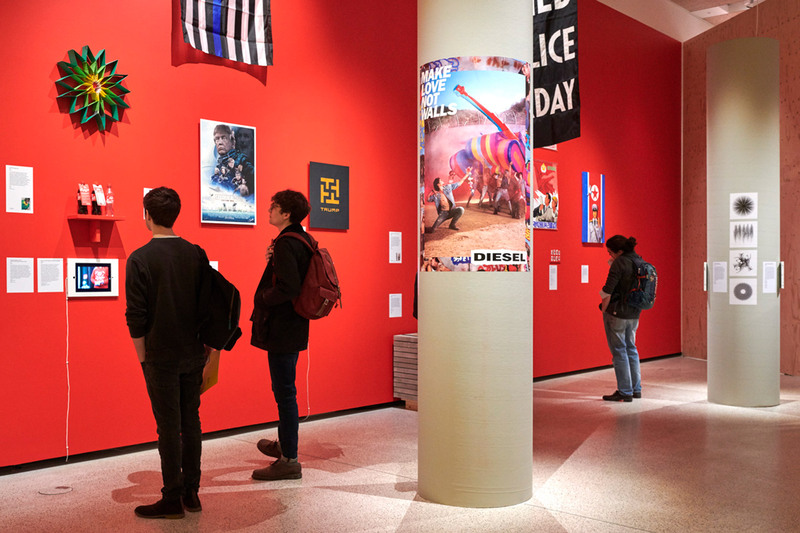 Over 30 artists and designers have called for their work to be removed from the Design Museum’s Hope to Nope exhibition, after the London gallery hosted an event for one of the world’s biggest defence companies. Designers including Milton Glaser, Shepard Fairey and Jonathan Barnbrook have all signed an open letter denouncing the museum’s decision to host a trade event for defence contractor Leonardo on 17 July 2018, as part of the Farnborough International arms fair. In the letter, which is posted on the Campaign Against Arms Trade website, they say they were appalled to learn about the event, particularly when the Hope to Nope exhibition is themed around political activism. In response, they are demanding that their works be removed from the show by 1 August 2018 at the latest. “It is deeply hypocritical for the museum to display and celebrate the work of radical anti-corporate artists and activists, while quietly supporting and profiting from one of the most destructive and deadly industries in the world,” reads the text. The letter also calls for the Design Museum to adopt an ethical-funding policy, refusing any fund from “inappropriate partners” such as arms, tobacco and fossil-fuel companies, and to make it publicly available. “Museums are not neutral spaces – every decision about what is displayed, how it is labelled and how it is funded is political, and reveals something about the underlying values of the institution,” it reads. The Design Museum claims the event was a private party that “formed no part of the museum’s programme or had any endorsement from the museum”. However it has now promised to undertake “a thorough review of its policies”, including its commercial activities. It has also appealed to each of the signatories to keep their work in place until the exhibition closes on 12 August. “We have entered a dialogue in the hope of ensuring that the exhibits remain in place until the exhibition closes to the public on 12 August, to make sure as many people as possible have the opportunity to see the variety of work on display,” reads the statement issued by the museum. The designers claimed that they had attempted to engage with the Design Museum before going public – but were unsatisfied with the response. It is unclear now whether any work will be removed before the show closes. Exhibits that could be pulled include the Black Lives Matter quilt by Shelley Hoffman, the Corbyn T-shirt by Bristol Streetwear and the BP or not BP? ruff. “Arms dealers and fossil fuel companies both promote conflict and destruction around the world, and no respectable museum should be working with either of these industries,” he said. Sarah Corbett, founder of craft-focused social enterprise Craft Collective, told Dezeen that she wants no association with the museum until an ethical funding policy is in place. Shepard Fairey, the graphic designer behind the Obama Hope poster, reaffirmed his plans to “take action” via his Twitter feed. 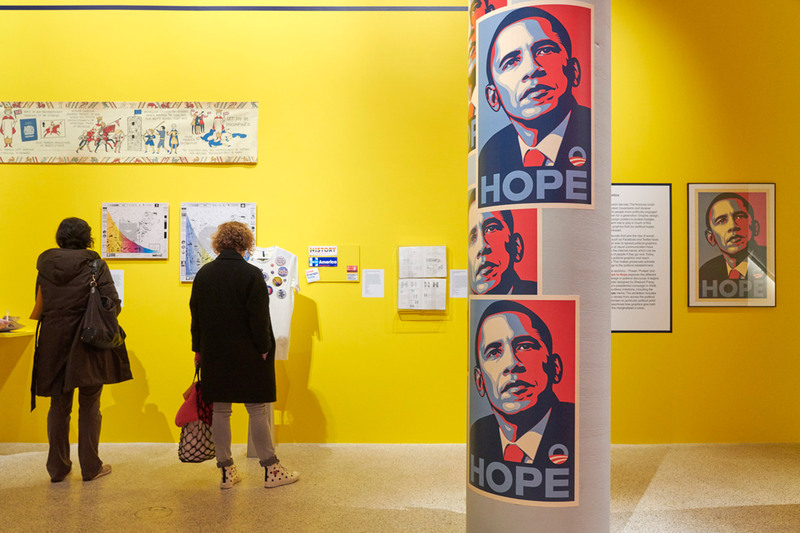 Hope to Nope opened at the Design Museum on 28 March 2018. It present a selection of political iconography from the past decade, created in the wakes of events such as the Charlie Hebdo attacks, Brexit, and Donald Trump’s presidency. 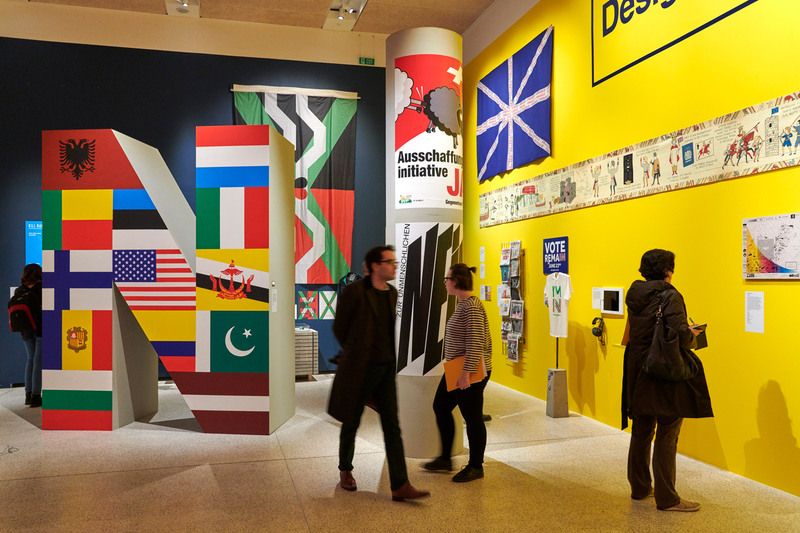 The post Designers demand work be removed from Design Museum in outrage over arms industry event appeared first on Dezeen.